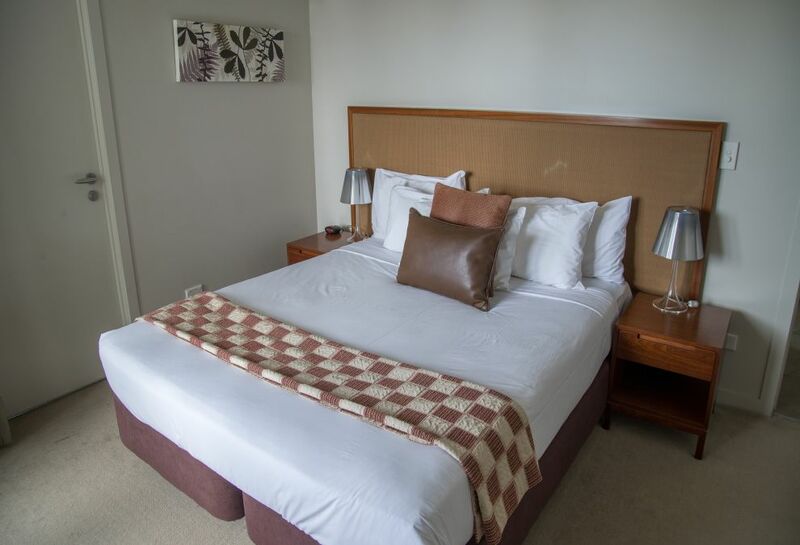 The Waterfront Suites Bay of Islands offers luxury one, two and three bedroom suites providing a range of spacious accommodation for all travellers to the Bay of Islands. Each suite offers a relaxed contemporary décor while many have a spacious balcony to take in the sweeping ocean views. All these luxury Paihia apartments include full kitchens, laundry facilities, lounge & dining areas, mini bar and high speed internet access. 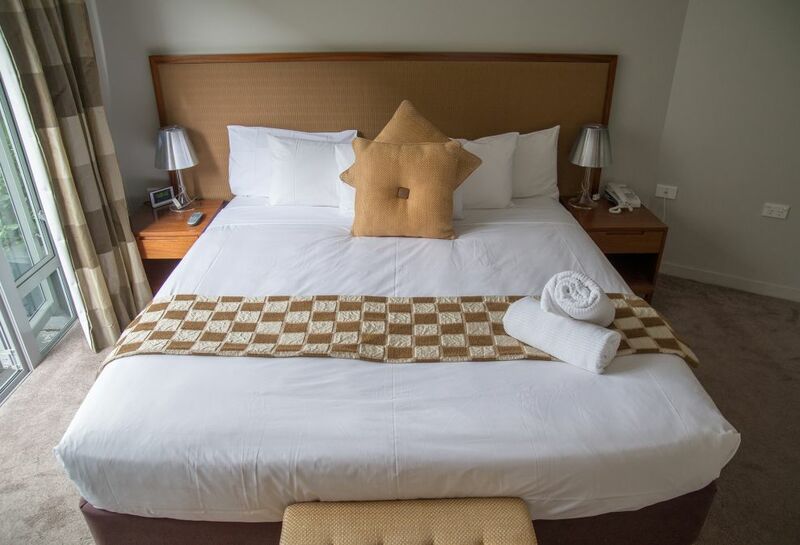 These Suites are self-contained and are serviced daily. Please contact Reception for a non-service rate. 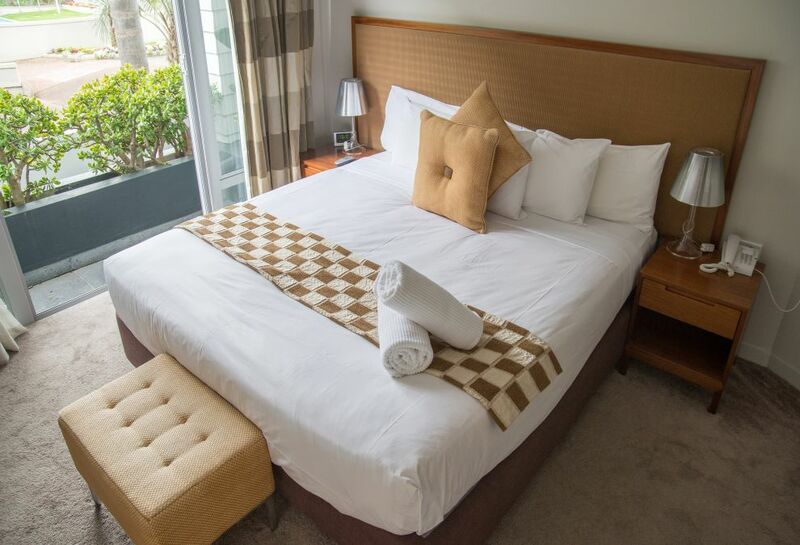 Luxurious fully self-contained contemporary One Bedroom Apartment with a king bed, a fully equipped kitchen, Sky TV, DVD player, poolside outdoor patio area, underground carpark. Luxurious and modern Two Bedroom Apartment, located upstairs with a balcony. 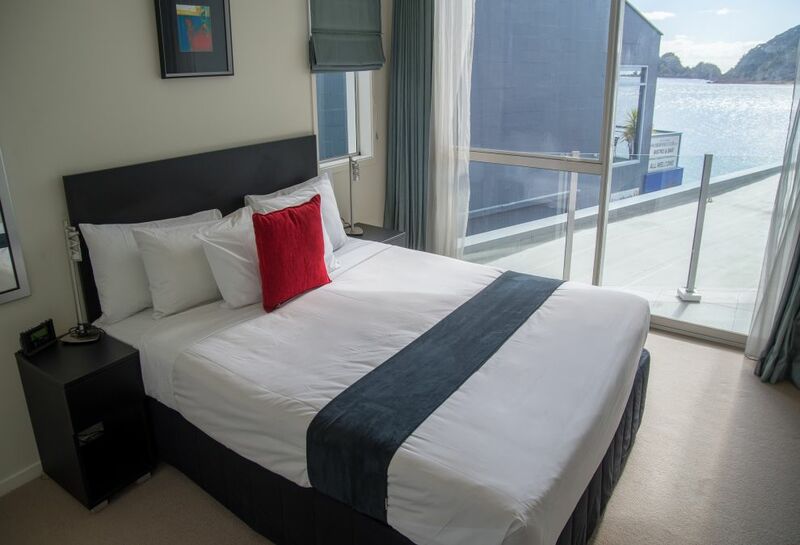 Apartment has two king beds, two bathrooms, a fully equipped kitchen, Sky TV, DVD player and underground carpark. Luxurious, modern apartment with a full Kitchen, two bedrooms with either two king beds or one king & two singles, two bathrooms, Sky TV and underground parking. Our Premium Suites offer restricted sea views. 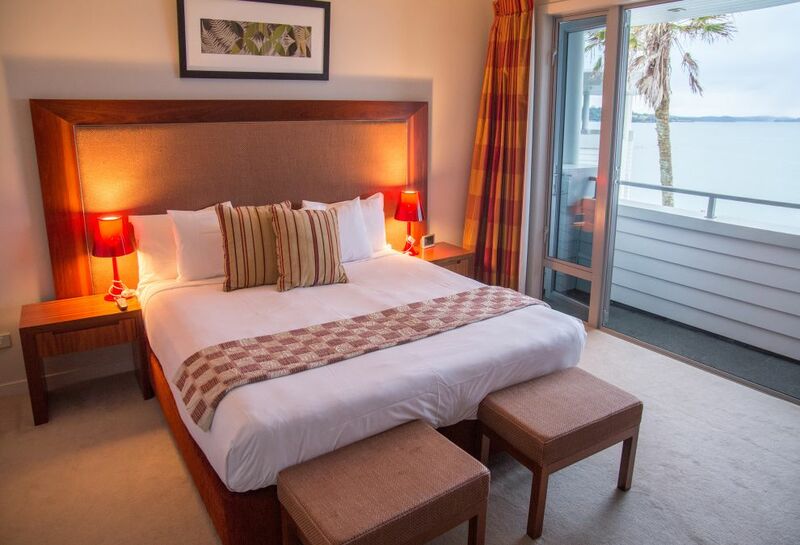 These luxurious suites are located in the Paihia Sails building which is located a few doors down to The Waterfront Suites. They have a full Kitchen, large lounge, three bedrooms, Sky TV, underground parking and two bathrooms Each suite has direct lift access and offer outstanding panoramic sea views. Luxurious, modern, two-storey penthouse apartment, with an open plan kitchen, dining room, laundry and a large lounge overlooking the ocean.